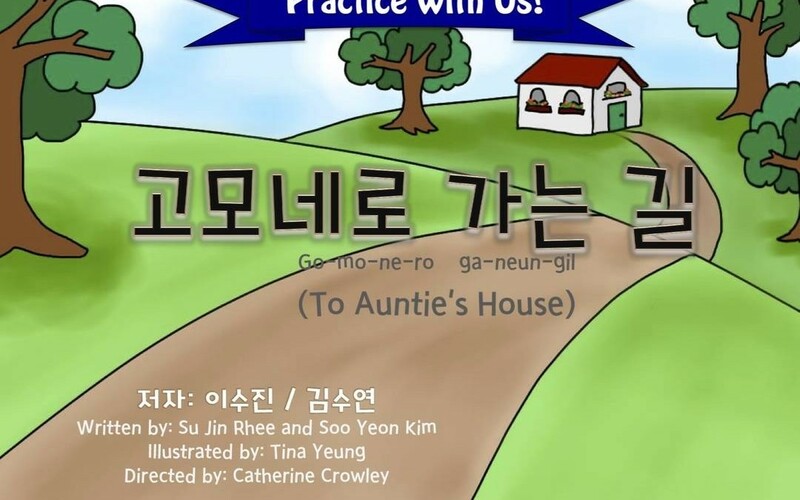 Go-Mo-Ne-Ro Ga-Neum-Gil (To Auntie’s House) is part of a series of Korean language books created for children with repaired cleft palate./ ‘고모네로 가는 길’은 구개열 수술을 받은 아동들을 위해 한국어로 제작된 언어 발달 책 시리즈 중 하나입니다. Go-Mo-Ne-Ro Ga-Neum-Gil (To Auntie’s House) is part of a series of Korean language books created for children with repaired cleft palate. It focuses on /k/ and /g/. Children receiving speech therapy after a repaired cleft palate should practice speech sounds 100 times a day if they want to improve. With these books, children can practice at home with their family on their own! The book can be downloaded by clicking on the pdf link. You can also swipe through the pages by clicking on the gallery of images below. ‘고모네로 가는 길’은 구개열 수술을 받은 아동들을 위해 한국어로 제작된 언어 발달 책 시리즈 중 하나입니다. 파열음 /ㅋ/ 와 /ㄱ/ 발음에 중점을 둔 책입니다. 구개열 수술 후 언어치료를 받는 아이들은 발음 개선을 위해 하루에 약 100번 발음 연습을 해야 합니다. 이 책은 아이들이 집에서 가족들과 함께 발음 연습을 할 수 있도록 제작됐습니다. 책 다운로드는 아래의 PDF링크를 통하여 가능합니다. 이 외에 아래 이미지 갤러리를 통하여 다운로드 없이 보실 수 있습니다. Written by Su Rhee and Soo Yeon Kim. Illustrated by Tina Yeung and directed by Catherine Crowley.